For siblings Jim and Erica Winters, a summer vacation to London promises adventure and a bit of freedom from their overprotective mother. But once they arrive, they end up with more excitement than they bargained for. Their mother is kidnapped and her captors demand the one thing they can’t produce – their long-absent father. 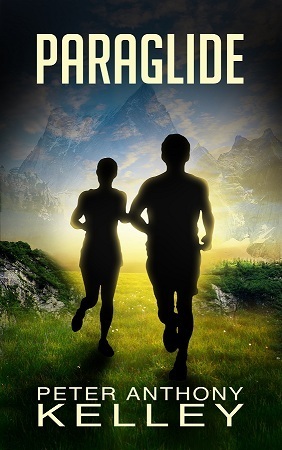 Unable to trust the authorities, Jim and Erica set off in pursuit of their father, racing across Europe and fending off mysterious assailants. As the trail of clues dries up, help arrives in the form of a raven-haired beauty. Is she the answer to their prayers or a romantic distraction? With the kidnapper’s deadline looming, the truth about their father’s shadowy past is revealed. In a last ditch effort to save their mother, Jim and Erica must climb high into the Swiss Alps where a perilous choice confronts them. Can they trust their father who has repeatedly betrayed them? Do you really know your father? Jim and Erica’s father has been gone for eight months. Their mother made them move to start life over again. Then one day, their mother surprised them and told them they were going to visit a cousin in England. Little did Jim and Erica know they would be taken for a ride of their lives. Once they arrived in London, they decided to see the sites and go take a ride on the big Ferris wheel. Jim and Erica were able to get on, however their mother had to wait. By the time the siblings finished the ride, their mother was gone…kidnapped, and they were asked to get their father if they ever wanted to see their mother again. Jim and Erica proved to be resourceful by piecing together clues in trying to find their father. However, each step they took, they were followed by people chasing them and trying to find “the Key”. Jim and Erica were lucky enough to find some locals along their way that helped them whenever they could. Paraglide is a story about not knowing your father’s identity and how incredibly smart and courageous children can be when chaos is shoved their direction. It is an exciting adventure on learning whom you can trust, and keeping a level head when turmoil haunts you. The story also teaches you what a parent will do to keep his children protected. It is definitely a great adventure watching the clues become known, and how close the siblings get to achieve their goal.